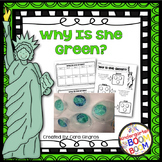 Statue of Liberty Experiment - Why Is She Green? Let's Make the Statue of Liberty! BEST SELLER! 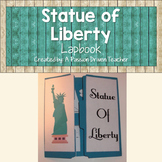 Your students will love making this adorable model of the Statue of Liberty! Lady Liberty holds a plaque bearing one fact and one opinion about the statue. 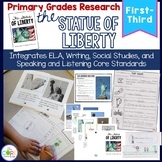 Make this with your students during a study of U.S. Symbols, immigration, New York City or the Statue of Liberty. Enjoy!! 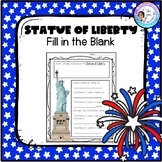 This Statue of Liberty Powerpoint is awesome and full of great information for youngsters!!!! It includes a ton of attention grabbing pics and great discussion starting information!! Its a must have! 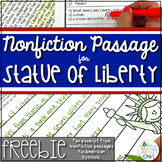 Great project for your students to make during Celebrate Freedom Week or during a history lesson about the United States. 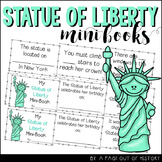 Can be glued to a lunch bag to use as a puppet or construction paper for students to then add their own words about the Statue of Liberty. This cute Statue of Liberty Hat is great to make for Freedom Week. Your kids will look adorable and it is so easy to make. Just print, color, cut and tape sides. 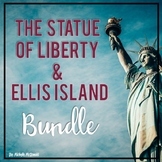 Also included in: US History Activities Bundle: 13 Colonies, American Revolution, Civil War, etc. 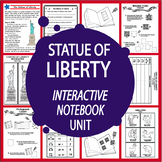 Measure the Statue of Liberty is a math station game to practice measuring using non-standard measuring tools, while enhancing the USA Symbols social studies thematic unit. Supports Mathematics Common Core Standards •Know number names and the count sequence. •Count to tell the number of objects.